Isaac has been potty training like, forever since just after his second birthday (he turns 3 in one month). I guess I should admit that he has been “casually” training since then. He’s kind of a two-steps-forward-and-one-step-back kind of learner. He’s never been one to just learn how to do something over night. So we started potty training kind of early knowing it would take some time. A couple of months ago, he kind of hit a plateau. He just wasn’t super interested or motivated anymore so we decided to up the ante. I made him a giant potty poster and we decided to go with a planes theme. 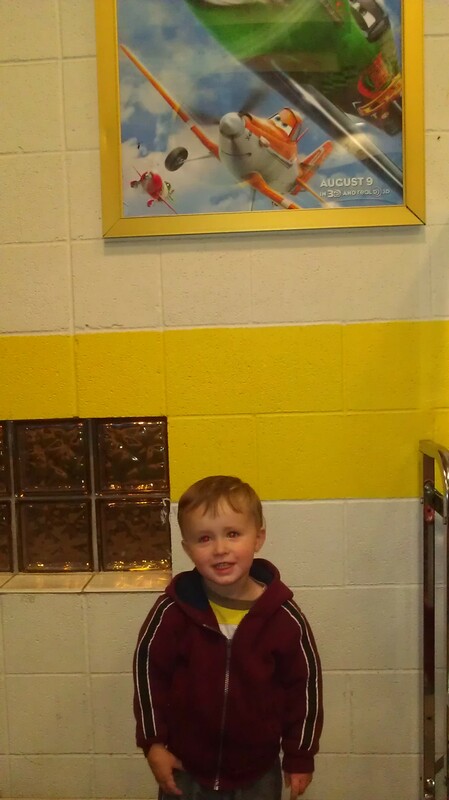 The idea was to take him to the new Planes movie when he finally stopped having accidents. Honestly, I had no idea if it would work or even how long it would take for him to reach that goal. I just drew a random number of boxes on the poster and hoped it would be enough. The first couple of weeks we gave him some incentives (ok bribes) to go in the potty for a week straight. He got El Chupacabra (from the movie) and a mini soccer ball. And we took a trip to Hill Air Force Museum. After that, “the big movie,” as he called it was his only incentive. I was afraid he wouldn’t keep working towards it but miraculously, it worked! 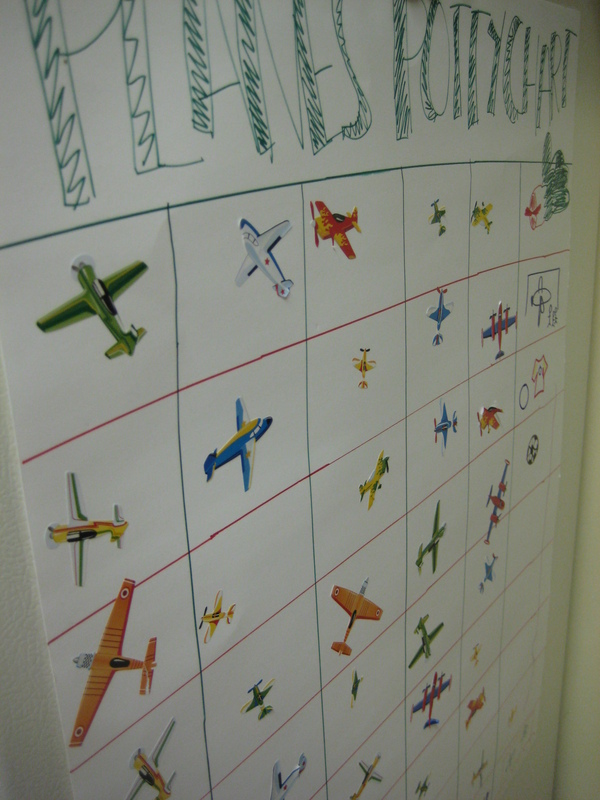 The last sticker he put on his chart was for waking us up in the morning and choosing to NOT go in his diaper…. big step! This past Monday evening Derek and I took him to dinner and the movie to celebrate. I was worried about the PG rating because, frankly, Isaac gets scared at every single movie. Even when it’s not remotely scary. He even has to sit on my lap during the Disney castle fireworks BEFORE the movies start. So. I was a little nervous. Plus he had never been to a “big movie” so I didn’t know how he’d react to the BIGness. I looked up the rating description and saw that there was only one pretty intense scene, so, we went for it and just told him to close his eyes if he got nervous. He was a champ. Have you ever had more fun watching a kid watch a movie than actually watching the show yourself?? So. Fun. He yelled “Chupacabra! !” when you see his character for the first time in the show. Only in Isaac speak it’s like “Chupa-ba-ba!” He LOVED when the planes were racing. He cheered when Dusty crossed the finish line. Anyway, it was cool. Oh yeah, and now he’s (mostly) potty trained. Hooray! The twins turn two in one month. Pretty sure I’m not ready to start all over with them just yet. I’m taking a little potty training time off, thank you.